Our staff loves camp, we are proud that 80% of our staff have worked for us before; many were former campers, too. They take pride in sharing our tradition and camp values everywhere they go. Directors of Camps Baco and Che-Na-Wah, Barbara and Bob Wortman, believe that camp is truly special. Their aim is to foster growth in children in an environment that is encouraging, fun and free-spirited; one that is unlike any other community that children are likely to encounter. The Wortmans approach this goal both seriously and with serious delight. Watching each child blossom in camp’s youth-oriented community makes them feel privileged. Bob knows what it’s like to be a camper, he has spent every summer of his life at camp. Over the past 35 years he has held almost every job, from waterfront counselor to head counselor to accompanist for the camp musicals, an activity he truly enjoys. 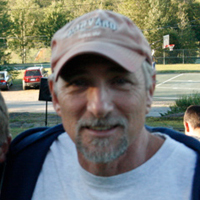 Bob is actively involved in the camping community: he is past-president of the New York State Camp Director’s Association and a former board member and current committee chair of the American Camp Association New York/New Jersey Section. Barbara arrived at camp in 1974 with Bob, who she’d met in college. 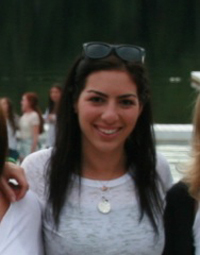 With her background teaching music and as a special ed teacher, she was a natural fit at camp. 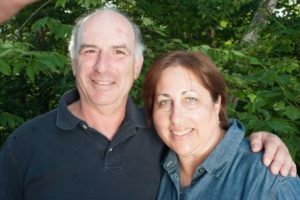 Barbara and Bob’s favorite part about running camp is knowing that the Camps Baco and Che-Na-Wah experience provides so much pleasure to so many people. They see camp as a place for campers to grow athletically, educationally, emotionally and spiritually, gaining leadership qualities and confidence along the way. Continuing in her family’s tradition, Allison Wortman is the third generation of the Wortman family to plant her feet at camp to help share and spread the positive values that are so deeply rooted here. A Che-Na-Wah girl from the cradle, Allison grew up at camp, and has worked in numerous staff positions from counselor to her current role. Allison is a former jewelry designer who says she draws inspiration from the beauty that surrounds her every day at camp. Today, Allison works with campers and staff on team building and leadership training. In addition, Allison helps tell our camp story throughout the year as head of marketing and hospitality. You’ll often find her leading camp tours where her passion for Camps Baco and Che-Na-Wah is contagious. She says she never ceases to feel excited when she hears the girls cheering for one another, when the boys celebrate each other’s achievements when they meet each day in the “council ring”, and as the calendar ticks closer to June when she knows another summer at camp is beginning. Allison holds a Master of Science in Camp Administration and Leadership from Touro University. Even after 37 years, Jane still gets butterflies in her stomach when she hears the buses full of campers pulling into camp each June, in anticipation of another spectacular summer. 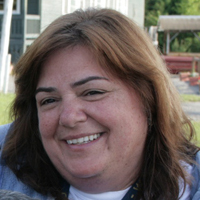 Jane’s role as Associate Director at Che-Na-Wah is to train, guide and support the staff to enable them to embrace and teach skills, values and the camp traditions that Jane herself learned when she was a camper at Che-Na-Wah. She helps the staff be the best that they can be. Jane also gets to know every camper. When Jane is not at camp, she is a first grade teacher at a public elementary school in New York. During the summer, she often tutors campers who need some extra help with their reading. 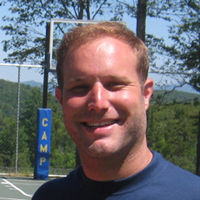 Camp Baco’s Head Counselor and Program Director, Greg Silver, began attending camp when he was eight years old. His grandparents, Alice and Lester Sternin, owned Camp Che-Na-Wah from the late 1959 until 1986. Greg has never missed a summer at camp and worked his way up from basketball counselor to group leader to his current role, which he’s held with great pride since 2002. When Greg is not at camp, he is the dean of student life and high school placement at a charter middle school serving underprivileged students in New Jersey. As Program Director at Camp Che-Na-Wah, Amy has the daily challenge of writing a new schedule every day to make sure every campers get the most out of every activity at camp. 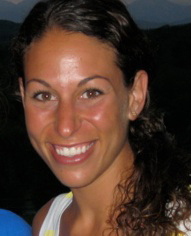 In addition, Amy helps with staff development and is the face of camp for campers at daily line-up before meals. A camper for seven years, Amy hasn’t missed a camp summer for 19 years. She still thrills to the beautiful setting here. She particularly loves the sun shining on the lake with the mountain ranges in the distance, and says it’s the perfect backdrop to a breathtaking summer scene. When Amy is not at her second home (camp! ), she is a first and second grade teacher. Like many senior staffers at Camps Baco and Che-Na-Wah, Danny has numerous roles. As head of the basketball program, he makes sure that the boys have an opportunity for learning and competition within camp and through inter-camp games. He keeps the ball in play off the court, too, assisting his brother, Greg, the program director, mentoring staff and supervising campers. Danny, like other senior counselors, cherishes camp. He was a camper for ten years and has been a counselor for nine. His grandparents, Alice and Lester Sternin, owned Camp Che-Na-Wah from the late 1959 until 1986. He says that more than any other influence, camp has shaped him into who he is today. He says that camp is special because of the strong sense of community and pride that defines every day, every activity and every action. Danny is a physical education teacher at a private K-9 boys school in Manhattan. He coaches soccer, basketball and baseball. Marc only spent one year as a camper at Camp Baco; but it must have made a big impression on him: he has worked at camp on and off for 26 years. Today, Marc focuses on working with department heads and specialty counselors to improve skill instruction and he supervises the pioneering and waterfront programs at Baco. He has a love of the Adirondack Mountains, has hiked most of the trails here, and his passion for the environment is infectious. Marc says that Baco is special because it feels like a family, and the fact that 95% of the campers and 80% of the counselors return each year gives him an opportunity to watch them grow. 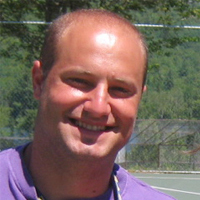 Marc teaches physical education and health at a high school in the Bronx, and he is an adjunct professor of physical education and recreation at York College CUNY.